Amid the seasonal declarations of a “new box office record” and “highest weekly gross ever,” one Broadway entertainment show is quietly bucking the trend. 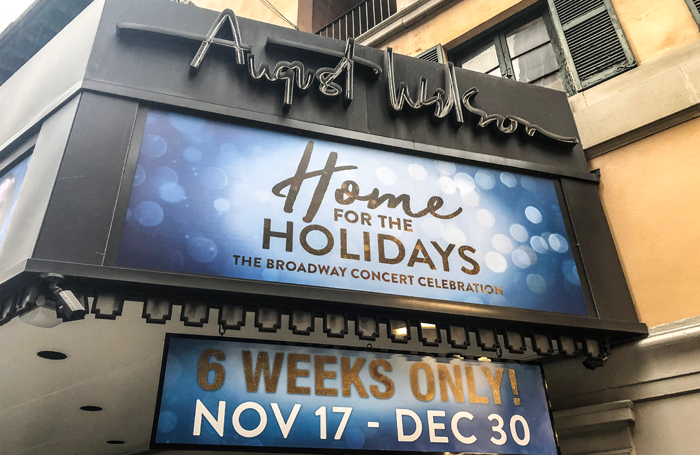 Odds are you haven’t heard of it, or spoken with anyone who has, because in its first three weeks of a six-week holiday run, the concert Home for the Holidays has sold fewer than 10,000 tickets in total. If that number still impresses – and it might in comparison to Off-Broadway venues where weekly capacity might only be 1,600 to 2,400 seats – be aware that potential capacity in that period was almost 27,000 seats. To put it even more starkly, in its first three weeks, its highest weekly gross was just under $63,000 for an eight-performance week, yielding an average ticket price of $24.54. This suggests that a large number of tickets were being sold at a very steep discount, or given away free. If this were a regular Broadway production with an open-ended run, or even the common 14 to 16-week booking, presumably the show would close. It is no doubt running below even the lowest “stop clause” – a provision in Broadway contracts that allows theatre owners to require a show to close if its weekly grosses drop below an agreed-on sales figure. But Home for the Holidays is an interim booking, occupying the Wilson prior to the arrival of the musical Mean Girls in just a couple of months. And it’s possible that as the holidays – and the wildly lucrative week between Christmas and New Year’s Day – arrive, seasonal spirits might lift Home for the Holidays towards more festive returns. The benefits of short bookings while theatre owners wait for a major tenant to arrive make economic sense, and Home for the Holidays is hardly the first such production to attempt such a run. In the past three seasons, there have been iterations of The Illusionists, and rock concerts from Elvis Costello and Duran Duran have made fleeting stops over the years, as have more conventional theatre offerings such as the musicals Elf and A Christmas Story. But Home for the Holidays would seem to be an object lesson in the risks such brief stints pose for producers. Major Broadway shows offer what may be their best prices, via discount offers, during preview periods, which can run from four to six weeks. Shows that don’t have big-name artists attached often take some time to ramp up in sales. Even after rave reviews, it usually takes a couple of weeks before sales capacity fills up, since Broadway isn’t necessarily an impulse buy for most consumers. Even with the acceleration of social media, word of mouth takes a while to spread as well. Brief runs have even less time to benefit from those factors. 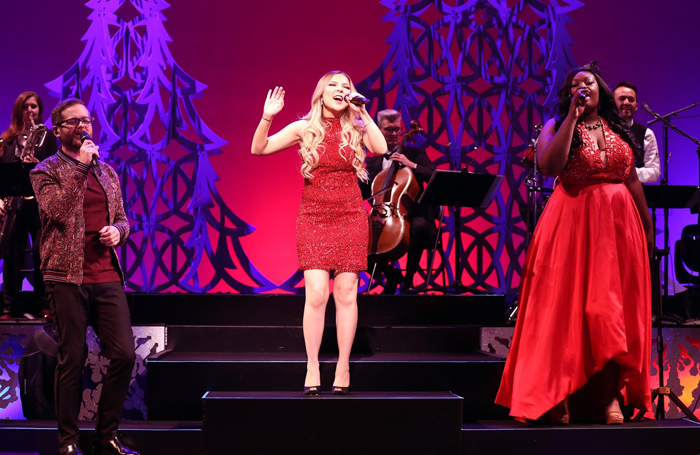 Home for the Holidays features singers who have competed on such televised competitions as The Voice and American Idol, the actor Danny Aiello and its emcee was from the Real Housewives TV franchise. Apparently all this failed to add up sufficiently to generate the kind of interest that would have been vital to advance sales. None of this is written to denigrate Home for the Holidays, which I chose not to see at during a particularly busy moment for new theatre productions in New York. But its fortunes are worth studying for would-be producers of short-stay events, because it demonstrates the level of risk and uncertainty that can be part of such undertakings. The fullest analysis will only be possible when the run is complete. But it certainly shows that just getting a production of any kind to Broadway isn’t enough: it’s an undertaking that requires careful advance planning and shrewd marketing and promotions, especially if its opportunity to capitalise on its stay in prime entertainment real estate is truly limited. Speaking of creative limited runs, Cruel Intentions: The Musical opens Sunday not on Broadway or even in a typical Off-Broadway theatre, but rather at Le Poisson Rouge, a nightclub/concert venue in Greenwich Village. Adapted by Lindsey Rosin and Jordan Ross from the 1999 film – itself based on Les Liaisons Dangereuses – and directed by Rosin, it plays only until the end of January. The Royal Court’s production of Lucy Kirkwood’s The Children opens on Broadway on Monday, with its original cast of Francesca Annis, Ron Cook and Deborah Findlay intact, once again under James Macdonald’s direction. The production marks Kirkwood’s Broadway debut.